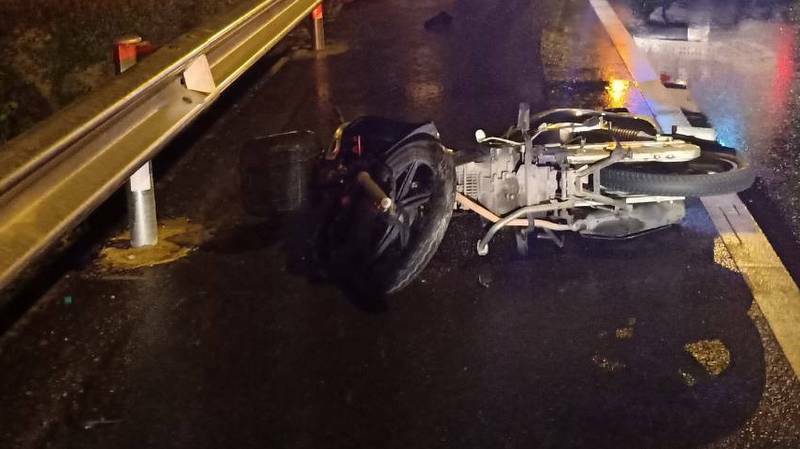 PHUKET: A 53-year-old German man died after his motorbike slid on a wet road in Baan Manik, Srisoothorn, last night (Mar 18), sending him crashing into a roadside guardrail. Thalang Police were notified of the accident at 9:30pm. Officers arrived at the scene to find a Black Honda Wave 125 with heavy damage on the road beside the guardrail. The body of the man* was lying in the emergency lane some 15 metres away. He was dressed in a black T-shirt and white patterned shorts. It was not made clear whether the man, who was carrying his Thai driver’s licence, was wearing a helmet at the time of the accident. Lt Sopanat Nayao of the Thalang Police noted in his report that it is believed that the German man was travelling back to his house in Cherng Talay. “He was driving very fast. When he got to the curve, the road was wet and he lost control of his motorbike,” he wrote. Lt Sopanat reported that no other vehicles were involved in the accident, and attributed the cause of the accident to driving too quickly for the condition of the road. The man’s body was taken to Thalang Hospital to check whether he had any drugs or an excessive amount of alcohol in his system at the time of the accident. * The name of the man is being withheld until it is confirmed that his next of kin have been notified. "Driving too quickly for road conditions". You don't hear that very often, even though it is the cause of most accidents. They usually like to use; blown tire, failed brakes, bad road design, was not familiar with the road, fell asleep, something cut them off, too dark, gravity, inertia, whatever. They have  many excuses for Thai drivers. Slow down and stay alive.